IBS Electronics, Inc. established in 1980, is a growing electronic components distributor serving OEM customers, contract manufacturing and brokers. 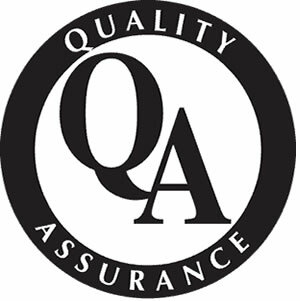 In quality management system, a quality policy is a document jointly developed by management and quality experts to express the quality objectives of the organization, the acceptable level of quality and the duties to ensure quality.Quality policy management is a long term strategic issue. IBS Electronics has always been customer driven and quality focused. From sales to shipping IBS Electronics is committed to meeting your requirements for the right product, on time and every time. Continuous improvement and ongoing statistical analysis of processes have always been integral to IBS's approach to business. Quality Management System has been an essential part of IBS Electronics. Maintaining memberships and achieving industry-standard certifications ensures that IBS Electronics stays up-to-date with current practices that have been designed to ensure authenticity of product and quality of service. Regular management meetings with top personnel are essential to maintain the company's commitment to quality products and quality service. Designed to review existing conditions and processes, regular management meetings refine and improve the company's quality management system, an integral facet of the company that leads to an improvement in customer service and satisfaction. We are able to maintain an exceptional level of customer service while also providing authentic electronic parts.